Last night, when deciding what to write about for today, I looked around my apartment, saw my probiotic fermenting away on the shelf, immediately took this photo, and proceeded to write this step by step process for making effective microorganisms. In gardening, there’s a lot of talk about chemistry – the fertilizer, NPK, carbon, etc. All important stuff, but I like to spend just as much time on the biology – the microorganisms, insects, animals (and of course plants). It’s especially the microorganisms that really rule our world, our bodies (we contain 10 times as many microbes as we do human cells), and our gardens. Today I’m pumped to get right into teaching you about these good microbes and how to make effective microorganisms. These efficient microbes improve the soil, increase plant health and yield, help keep pests away, and are some of the most important beneficial bacteria and yeasts that make up our world. They can be purchased as a liquid that contains specific species mixed at specific ratios. This is done in a lab, so you can’t make it from scratch yourself, but you can get what’s called a ‘mother culture’ and then make 20 times that amount. This not only saves money, but wakes up the dormant microbes, making them more effective. That process is called activating the effective microorganisms. It’s a fermentation, like wine and yogurt, but the result is much better for you and your garden. And today I’m going to give you my own effective microorganisms recipe. I’m not going to get into the details of what it is and why you should make it because this post is just about how to make effective microorganism solution (I’ll give you a link to the what and why at the end of the post), but I will just say that I believe this is the most important thing for most people to bring into most gardens. I’ve seen seemingly miraculous results with it, both in the garden and in people who drink it (I’ll talk about the drinking part another day). Now, EM Effective Microorganisms® (it’s called EM or EM1 for short) is actually a brand name. I tend to use the term generically like ‘Band-aid’, but I don’t even use the EM product. I actually use a similar product made by SCD Probiotics. But both brands are great, so go with whatever you can get your hands on. 1. Mother culture. First you need a mother culture. The one I’ve been using for 10 years (and started selling in the U.S. last year) is called ‘ProBio Balance’ (you can get it here). The ‘Bio Ag’ product on that page is for people who don’t want to do this activation process, as it’s already activated for you and can’t be reliably activated anymore. 2. Molasses. Get some unsulfured blackstrap molasses, from me or from the grocery store. Unsulfured is important because sulfur is used in some molasses to actually kill microorganisms, while we’re trying to multiply them. Blackstrap is important because it’s lower in sugar and higher in nutrients. Organic is not all that important for this, but I always prefer to go organic when I can (note: it’s never been an issue for me before, but I recently read that organic molasses may have a ‘pH buffer’ in it that can stop the pH from falling in the activated EM, so some people add an amount of vinegar equal to the organic molasses to overcome that – again, this is new to me and I’ve never done it, but thought I’d mention it here). 3. Container. Find a used plastic container with a tight lid, like a water or soda bottle. Any size will do, but I usually make batches in 1 quart, 2 quart or 1 gallon containers. If you’re lucky enough to have a carboy (pictured above), that will work too because it allows the gases to escape that are formed during fermentation. But if you don’t have that, the reason plastic is nice is because it has some flexibility and can handle the gas pressure better than a regular glass container. 4. Water. Fill the bottle approximately half full with hot water – not boiling, but something that’s slightly too hot to take a bath in. If you can use spring water or dechlorinated water, that’s great, but you know what, I’ve made this plenty of times with city water with chlorine or chloramine in it and it works fine as long as it’s not over-chlorinated – the microbes probably even clean that up because some of them are detoxifiers. 5. Mix in the molasses. Add the unsulfured blackstrap molasses to the water at 4% of the container’s volume (table below). The heat coupled with your swishing (which you can commence forthwith) will help dissolve it. 6. Mix in the mother culture. Add the EM1 or ProBio Balance at 5% of the container’s volume. 7. Nutrition. This is a bonus step. You don’t have to do it, but it will add some more nutrients in there. If you have sea salt or kelp powder or sea minerals, add one of those in at 0.25% of the container’s volume. 14. Use it. I’ll leave those instructions to my more detailed page on Effective Microorganisms and SCD Probiotics, but in short, I use it monthly as a spray on my plants, soil and compost, at 1/2 cup per 1000 square feet. 15. Store it. At room temperature, not in direct sunlight, but not necessarily in the dark either, as it seems to like a little indirect light (I’m not sure how important the light level is, and I’m not sure how the bright oven light affects it during the fermentation period). The mother culture has an expiry date, but in my experience will last a year beyond that. Your homemade activation is most effective within the first month after the pH drops below 3.8, but will store for months after that. If you make a few bottles, once the activation is done, you can use one bottle to fill the rest up to the brim so as to store them without air, and then just use that bottle first. A little air is okay during the fermentation, but not during storage if you want it to last a long time. By the way, if you order the ProBio Balance mother culture from me, I’ll give you free access to the course in my Smiling Gardener Academy that gives a more advanced, detailed process for how to make effective microorganisms (plus it’s all on video). For those of you who already have batches on the go or who will be starting a batch this winter, it would be awesome if you would post a photo in the comments below and then I can also paste it up into this article to show readers what some different brewing setups look like. And if you have any questions, feel free to ask down below, too. How about affixing a large balloon to the jug neck to capture the gases. My grandmother use to make wine this way. Yes, that’s an excellent idea. I currently take about a teaspoon a day, straight from the bottle, but I can’t tell others to do that because the product isn’t classified as food grade. How cool Phil I have been making probiotics for my family with kefirs and cultured veggies and kombucha over the past year. I also have from my organic csa probiotic for livestock and have read about bocashi for the garden! with a system to purchase at whole foods $80.00! one lady Donna Schwenk would use her old scoby for kombucha on her tomatoes and has the envy of her neighbors!!! I would be interested in what the strains are you are using in this fermenting I’m off to investigate! YEAH! Thanks for sharing about expiration, I was getting ready to send you an email asking just that, since my bottle I use for gardening supposedly expired in November. Is it just that over time the active organisms start decreasing in amount and die off? So it doesn’t really go “bad” – just ineffective? Yes, after you’ve opened the bottle and used some of it, they’ll gradually (over months and years) hibernate and die off. Eventually, it could go bad, but it would have a horrible smell, so you’d know it. I don’t recall if that’s ever happened to me. If yours still smells okay, it is okay.But what I was also referring to in the article regarding expiry is that if you open a brand new bottle on its expiry date, it will still be good for quite awhile because in some ways, it’s like a fresh batch, because it hadn’t been opened before. So how do I use this, how much, how often, spray or put on whole garden or just around plants? I use it monthly as a spray on my plants, soil and compost. Here’s a link directly to my information on how much you need and how much to use ( https://www.smilinggardener.com/sale/effective-microorganisms-and-scd-probiotics/ ) and here’s a link to my calculator that helps you figure that out for your square footage and frequency of application ( https://www.smilinggardener.com/soil-food-web/how-to-make-effective-microorganisms/ ). Novice here, please be patient. I live in south Louisiana where the soil is crawfish clay with a shallow layer of top soil. We have always just planted in the ground but within a couple of years it seems like plant don’t do well any more. We’ve tilled sand into the clay and added more top soil along with commercial fertilizers which I now know to stay away from. We are now making raised beds and purchasing soil which is such a shame because we have about 3 acres that we could plant on but it’s too frustrating. Now for the probiotics question. I understand the concept of taking probiotics, we take them as supplements, but my question is, once you make the probiotics you talked about in your article, what do you do with them? Do you just mix them in your soil, water plants with it, or what? Thanks for your reply. Actually, I went back and read that part in your book. It’s quite a daunting task.Thanks for the link on usage. I have a similar soil situation on my property. I’ve been adding compost and mulch for 14 years. I still have areas that need more work, and you can tell by how things don’t grow as well in those places. Also, I could have been more diligent, but it is a long and ongoing thing that takes some dedication and determination.The EM will help a lot and also you can do lasagna gardening instead of raised beds… that means you basically compost things in a sheet over the area you want to plant in later. In the fall, one year I had had enough leaves, cardboard, used coffee grounds, kitchen scraps, straw and pumpkins to pile a problem area up 4 feet high… and the next spring we worked it all into the soil deeply by double digging and things grow beautifully there now. If you become a scavenger for compost materials, it takes time but your soil can be rehabbed. We also have to continue adding compost and mulch or some areas will “revert” back to clay. As soon as people “get” the perfect soil-Then they die.. Then their children sell the property.. Just saying..
You’re sooo right on the nail Martha! Hi I live in New Zealand and have a property with solid clay and very little topsoil. I have used the Lasagne Gardening method here for 12 years – and the veges and fruit trees are very happy! The clay is a great base – it stops the nutrients from draining away from the top layers. Essentially I just make a compost heap about 1 -1.5 feet high using layers of stuff that is available locally (food scraps, tree-pruning mulch, horse poo, seaweed, wood ash …). I never dig – I just wait until the worms are near the top of the pile, and plant straight into it (about 3-4 weeks). Now I have so much topsoil that I can make a layer heap, shuffle it aside with my hands to make a small hole and plant straight into the topsoil – so I don’t have to wait. I use a plastic bottle with top and bottom cut out to keep the compost from falling in on the seedling. (I have a bin full of these). The seedlings have a bit of shelter, and lots of food as they grow. I then don’t have to do anything (weeding or feeding) for the life of the vege plant. If it is a perennial I just make the next compost layer heap around it. Enjoy your clay and your good back – digging hurts! Also, look into Biochar.. I just learned about it last year and have started putting it into practice too. I think it is a dramatic help in clay. I activated some EM1 a month ago and 18 days ago. I took the 1m old activated solution and sprayed half of it on my compost pile as I was turning it! OOOOPS, mistake #1, I should have diluted it! Also it smelt like molasses so maybe it was not ready??? I kept it in the house, not in a paticularly warm spot so I thought one month would do.. I was just given a PH meter and just measured the Ph (a device with a probe) and the Dec 4th batch Dec is at 6 and the 18 days old batches are around 6.5. Not ready I guess! Can I put the bottle in the sun to warm up? Do they prefer darkness? If your pH is at 6.5 then something has gone wrong with the activation and you should throw it out and start again (you can throw it into the compost). Or actually, check if your pH meter is working because I’ve never seen the pH go that high on an activation – something seems off with the meter. But I have seen the pH go up to 4.5 and it means something went wrong. It doesn’t happen too often, but as with making yogurt/wine/etc., it can happen.Some of the most common reasons for failure are: 1. Inappropriate containers (previously containing chemicals, rotten food, bad Activated EM batches) 2. Poor water quality (for some reason distilled and reverse osmosis don’t always work that well, and certainly polluted water or water very high in chlorine can cause issues) 3. Not optimal temperature (too hot or too cold) 4. Using more molasses than EMAs for darkness, they like indirect light. Too much direct sunlight can be a problem, and too much darkness isn’t ideal either. I’m not sure how big of an issue the light level is, but I go with: not too much, and not too little.Hope that helps! Here are the photos. Great point about cleanliness of the containers – the first one was very clean (as it was the original gallon container the EM1 came in), the other 2 were not cleaned thoroughly… I will borrow a PH Meter and checked again. What is your frequency of checking the PH when you activate a batch? Any other way of checking beside the bad smell?Thank you so much for your help Phil! Thanks for the photo. I don’t check the pH often at all – maybe after a week or two just to make sure things are working okay. I have a pH meter, too, but I get tired of recalibrating it so I always just use my pH paper now. I sell the paper ( https://www.smilinggardener.com/sale/effective-microorganisms-and-scd-probiotics/ ). It is a bit pricey in my opinion but will last many years if you just use 1/2 inch of paper at a time, and I haven’t found a more affordable option online that focuses on the 3-5 pH range. what would be the postage to Florida for the PH paper? Could you use some of the activated EM as mother culture? In the same way as you would with sour dough? Unfortunately it doesn’t work very well. I wish it did. The proportions of all the microbes needs to be within a narrow range, and subsequent activations move it out of that range. But couldn’t you use the activated expanded EM to propagate just lactobacillus in milk? Sorry Jon, I don’t quite understand the question. The bokashi will be most effective, but you could try doing what you’ve just suggested, with 1 addition: toss a handful of wheat bran or sawdust or other shredded high-carbon material in with the food scraps, then spray the whole thing with activated EM. You want to balance out the nitrogen and moisture of the food scraps with the carbon and dryness of the bran/sawdust/whatever. 1. Yes, the white stuff is no problem. It’s just the yeast. I don’t bother straining it, but I have read that it can cause a batch to go bad more quickly, so you could strain. I’m not sure how much it matters.2. I sell a product (at least for the time being) called ‘Essential Probiotics’ that is basically the food-grade version, so it’s the one that I sell for you to drink. Personally, I drink the regular non-food grade one because it’s more affordable, but I can’t sell that one for that purpose. Anyway, whichever one people decide to drink for themselves, it’s usually 1 Tbsp per day, and up to 3 Tbsp per day if you’re feeling sick/sore throat/sore tummy/etc. It can often be very helpful. Wow, Thanks for the quick reply and your helpful advice!!! Terry – The cork is a Drilled Stopper or Drilled Bung. The pressure relief is a Three-Piece Airlock. They can be obtained from any Wine / Brew supply shop. The corks come in different sizes to fit various size carboys. I am getting the hard materials required from Texas Brewers to make EM. So, I will be ordering the EM from you soon. I was looking for rock dust locally to avoid shipping cost and it is just nowhere in the south. What is available is azomite for about $20 a bag. I was told it comes from a volcanic source in Utah as opposed to glacial sources. Do you have thoughts on that product? With a busy schedule I have limited time for gardening so I am taking your advice and starting with the EM as the most important substance I can apply. Also, I am excited to put in an elderberry patch next week when the plants arrive. Elder was the 2013 herb of the year and after reading the book think it should be in everyone’s garden. (sorry, personal opinion) It is an amazing herb. Thanks for your help. Azomite is a volcanic rock dust, and yes, it’s good stuff too. If you’re looking at $20 for a 20 pound bag, that’s a decent price.Yes, EM is the most important and I always like a liquid kelp or sea minerals to go along with it.I’m a big elderberry fan as well. Have a couple in my garden along with gooseberries and currants. how much of the finished brew does a person take internally? Also, how would a person use an extra kombucha scoby or extra water kefir grains to benefit their tomatoes or vegetables as mentioned below? Since it’s not ‘food grade’, I don’t suggest that other people drink it, but I drink 1-3 teaspoons a day, up to 3 Tbsp if I’m feeling sick or have a cold.I’m not sure how best to use the scoby or kefir grains. I would chop the scoby up into pieces or put it through a blender, mix with at least 20 parts water or even more like 100 parts water in order to make it go further, and water my plants with it. I’d probably do the same with the kefir grains. You mean packing and shipping? Perhaps you can put balloons instead of lids during shipping, because they will expand if the gases get forming more quickly on the road. Most of those activations do much better when made with EM1 (or ProBio Balance) rather than AEM (or BioAg). Whenever you’re mixing it with molasses and letting it ferment for a while, the mother culture is best. If you’re just mixing it with other ingredients and spraying right away, the activated is fine. Hello Phil,I just realized that I have been purchasing the “Mother Culture” of Pro Bio and using it straight (as well as drinking it straight) and not “activating” it. Has this all been a waste, or is it still beneficial in the concentrated form? It’s still totally fine concentrated – just a little more expensive and the microbes are a little more sleepy if they’ve been sitting around for awhile. But as soon as they hit food, they’ll get to work. In the past I leaned a little more to preferring a freshly activated batch, but now I think both are just fine. Nothing to worry about. Can this be made with chicken broth? It’s an idea I’ve had for dog food. Good question. I imagine it could work. I’d be more likely to just add EM directly into their water (or food) at 3% of the volume of the water (or food). You can make EM yourself, it’ll just be generic like your Baid-Aid analogy. Wash 1/2 cup of rice with 1 cup of water, strain off the rice. Let the water sit in a mason jar with the lid resting on top (to allow for gas expansion) in a cool, dark place for 7 days. Strain off solids at that point. Then, transfer to a gallon-sized container with a lid and add 10 cups of zero-fat milk. Let sit in a cool, dark place for 14 days with the lid resting on top. You’ll want to do this in a place that’s protected from flies… Strain off the solids. This step is gross, but the end is worth it. At this point, you have EM serum – add blackstrap unsulfured molasses and refrigerate. The shelf life is about 6 months, I’m sure you can find a use for it in that time. Very handy, thank you! Question: If I don’t have access to the probio balance, could I use the mother at the bottom of my apple cider vinegar jar as a mother culture for this process? No, that works with kombucha, but not something as different as EM/Probio. I tried the fermentation process however the plastic container was shrinking on the next day. Smell normal like molasses and pH tested 4.4. What is wrong with it? How do you store the ProBio Balance with mother if you just make 1 container (out of the 20 it will make using your recipe)? The best way to store the main bottle? How long will it last in that condition? Also when you make an activated bottle do you dilute it or use it full strength? 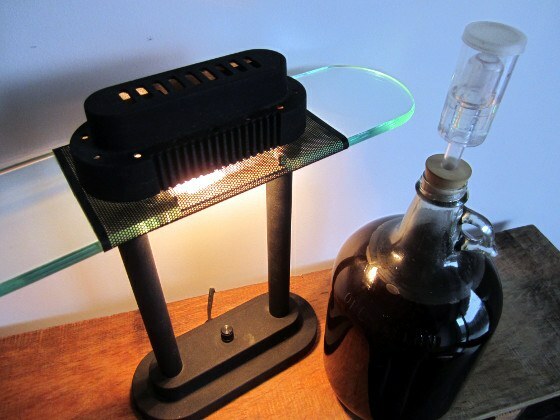 You store it at room temperature, not in direct sunlight (indirect light is okay, even good, just not direct light). It lasts at least 2 years like this. With the activated bottle, you still dilute it, usually 1:250 (1 Tbsp of activated per gallon of water). Was getting ready to order and then noticed it isn’t vegan. Thanks anyway – it was a good read. A lot of people take a swig every day, but it isn’t considered food grade, so I can’t recommend that others do so. I found your site from doing some preliminary research into apartment composting and the bokaski style system. Would you say that growing out a home made EM solution in the manner you describe above is the same strain as that used for innoculating grains to feed a compact compost? Part of my wanting to take this on board is to reduce plastic bag liners (currently recycling shopping bags but as reduced as this is, with each bag being used around 6 times before becoming a bin liner, I want to ban them from my life entirely), and minimise my home’s contribution to landfill. I have experience with building up Saccharomyces cerevisiae, keeping yeast libraries for future applications, growing out mycological tissue cultures on agar, and am just trying my hand now at kombucha, mostly because I wanted to see the behaviour of a lactic organism (haven’t drank any yet, and it’s gone way too sour!! )no problem, I see them now as my ‘farms’). With exposure to these various processes I also am well across sterile work environments, environmental conditions etc. – so anyway, the amateur ‘home bio-lab’ is something I quite enjoy and I’m researching in to EM for composting as mentioned, and am hoping to make my own activated grain… the commercial product is around $20/kg (or 1/2 pound for Amercian readers) in my country, which seems like a complete and total rip off for what is like around fifty cents of product. I’m also hoping to isolate whatever I need to culture out of any first runnings of liquid compost to reculture new batches (thus I will NEVER be drinking this solution, as others have mentioned !). If heat and constant oxygenation is required I can do that also, I have some lab flasks and a magnetic stir plate to keep solutions aerated. No idea if this is a feasible option (as it is with liquid myco culture, or brewing yeast starters) but would love to read some further thoughts you might have, particularly around ‘urban composting’ and the biological properties of Effective Microorganisms. On a side note – why are you using molasses specifically as a food source for your EM culturing? Do the minerals specific to molasses (that are absent in other sugar sources) contribute to culture growth? Yes, if you start with a mother culture, you can activate your own as I’ve described above and then use that for bokashi composting. I haven’t used it for any other types of compost other than spraying it on my compost pile whenever I’m spraying the rest of my garden. I use molasses is because that’s how it’s always been taught – EM originated in the early 80s in Japan and most everyone uses molasses, perhaps because of the minerals, but I’m not entirely sure. I just got the probio Balance via USPS. I mixed Molasses and Mother Culture into one gallon plastic jar. My question is should I brewed it under the sun shade area ? I lived in Los Angeles, Sunshine everyday. Or just dark warm area. Preferably indirect light – so not right in the sun, but not in the dark either. Thank you for your great information about how to make EM1. I don’t want to by EM1 . I wonder if is it possible to make it by myself in Lab? Even if you do have all of the thousands of dollars of equipment, you need to get all of the microbial strains from different sources. It’s much less expensive just to buy it. You can, however, make a simpler inoculant ( https://www.smilinggardener.com/plants/garden-inoculant/ ). It’s much less effective, but still useful. Thank you ! after long searching on online I have found a useful reading about EM bacteria. I have been using EM bacteria for shrimp culture to control vibrios. But, I am not quite sure about how it ‘s effective for vibrio control. Please, could you explain how to mass culture from mother culture? will I use filtered sea water instead of fresh water? Sorry Babu, I don’t understand your question. Thanks for this great info. I bought a bottle of your Pro Bio Balance and had a friend bring it down to me in Peru a few months ago. I have yet to use it, but am getting ready to start. Here’s a question: I am wondering if I can use black carob syrup (algarrobina) in lieu of molasses? Hello, and thanks for the great article! My question is somewhat out of topic, but since you are an EM expert hopefully you’ll have some tips for me. I would think the alcohol and essential oils would kill or at last harm the microorganisms in the EM. Better to use the EM alone. You can use the EM undiluted to spray on animals. Sorry I don’t know if you’ve answered this already, but how can you use EM1 for yourself, ie. not for garden but for human, for digestive health and such? And how about to prep EM ceramics with EM1? These days I drink about 1 teaspoon every day, just straight from the bottle, but I can’t recommend other people do that because EM1 is not technically food grade. As for prepping ceramics, sorry, I’m not sure how to do that. Hi Phil. I was wondering once I brew a 5gallon batch in a carboy can I take 4 or 5 cups from that and start another one? If the first batch is quite good, it is possible to do that. The trouble is, with each additional brew, the mixture moves a little further away from the rather specific proportions of microbes that were in the mother culture, and effectiveness drops up substantially. Can you explain how I can make microbes go dormant so I can make and store them longer? Just put them in the coldest part of your house (a fridge may be a little too cold). They’ll go dormant when they get low on food. I tried it twice already with no success. I used brown sugar instead of molasses. I’t been a week and a half and PH is 5.2 What do you think could be wrong? I’ve never heard of using sugar instead of molasses, so that may have something to do with it. Hello from France and thanks so much for this article!! My naturopath has just introduced me to EM and I am now making my first 1L batch in a glass hermetic jar. I familiar with fermenting vegetables and am used to burping this jar once and awhile to allow gases to escape, however it has been 2-3 days now for the EM and no gases have built up. There is also a white, film/”skin” growing on the surface. Should I be worried? Thank you!! Thanks for wonderful information. how can we convert the effective microorganism in the powder form. kindly elloborate. EM is by definition a liquid mixture, so can’t be powdered. Luckily, you don’t need much of the liquid. We’re usually mixing it at least 1:250 with water, sometimes even 1:1000. Yes, EM is used in sewage at an average rate of 1 gallon per 10,000 gallons of wastewater. Great stuff I’m on my second batch of EM from your culture although the second one is with the molasses and the first was made from rice water but seemed to work fine . I’ve enjoyed your database of information and now have everyone asking me to make them their own EM solution .